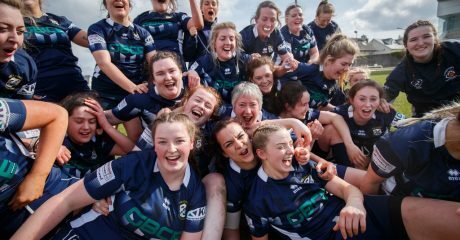 Women’s Rugby in Connacht is thriving like never before, and now Connacht Rugby is shining a light on all the great work that has been done in the past and is continuing to take place around the province to promote the female rugby stars of the future. 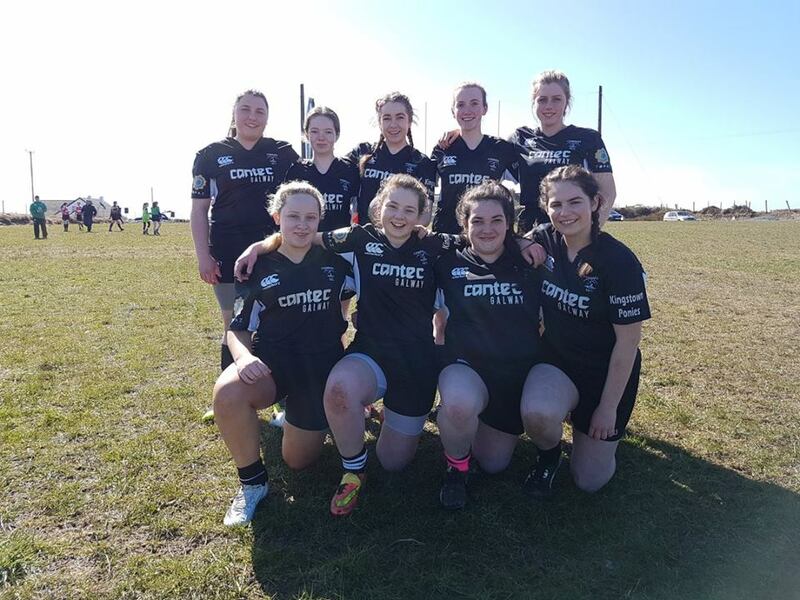 Every week you’ll get to read a bit about every club in Connacht that offers a Girls Rugby programme. You can find out about what they’ve done in the past, how many teams they have, what times they train and who are the people that bring Girls Rugby to life in the club. This week we have Connemara RFC, with text and pics with thanks to Darwyn O’Halloran. Rugby has been played in Connemara since the early 1920s. With each passing decade the interest in the sport seemed to grow. Like all other rugby clubs we have had our highs and lows, our victories and defeat but one part of the club that we have always taken great pride in is the participation of our young players. This has become especially true in the most recent years with the successful introduction of the girls youth rugby teams. It wasn’t easy though. 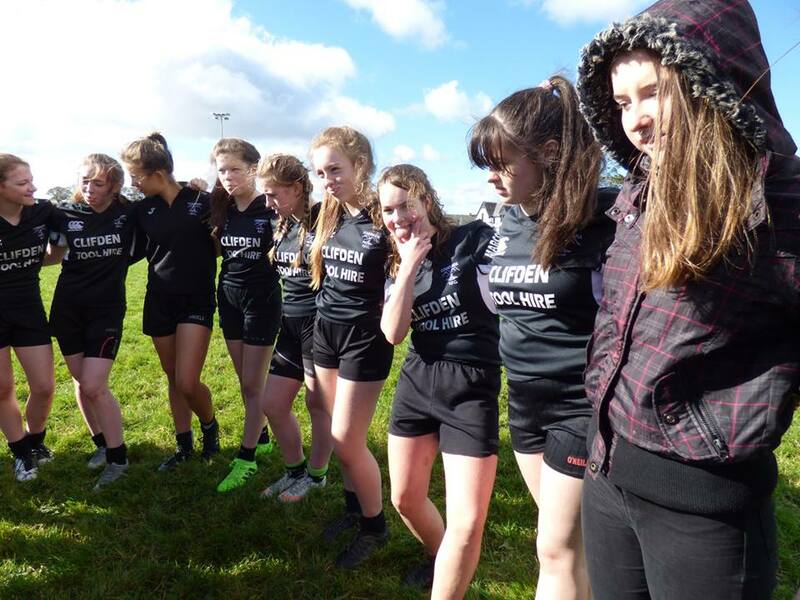 Over the years there have been attempts of establishing a girls rugby squad in Connemara. 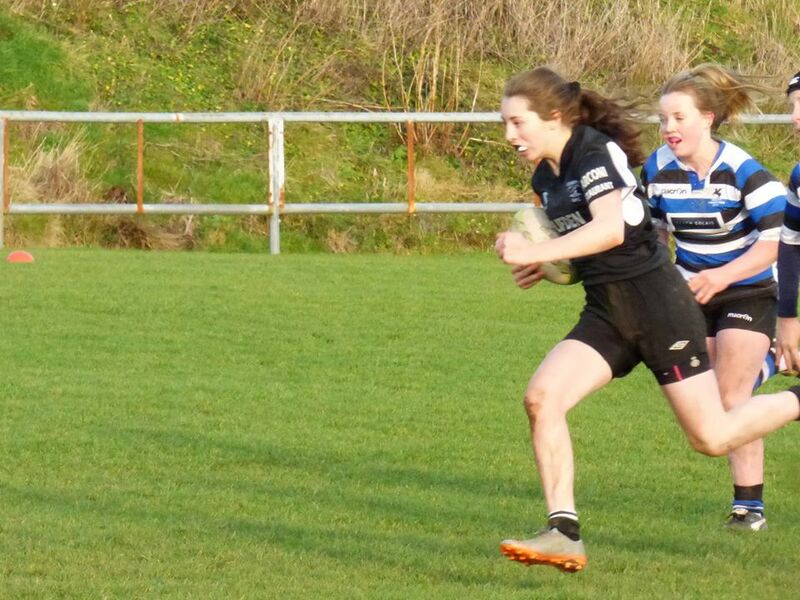 There was always an interest shown by a few of the local girls wishing to play rugby, some of which had played at minis level with the boys and now wanted to progress onto youth level. The problem was there never seemed to be enough girls to form a full team. This often resulted in Connemara having to join forces with other clubs just so they could compete. It wasn’t the most ideal set up but these team ups proved to be rather successful. 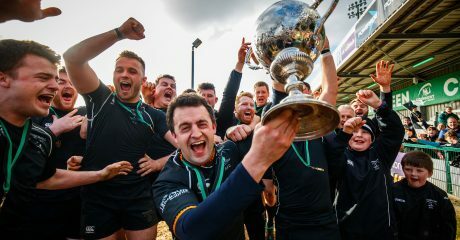 The first success came in the form of an under 18 2012 Connacht cup win while partnered with Dunmore and again in the following year, this time partnered with Westport. Following this some of the Connemara players went on to represent the Connacht under 18s in 2013. Unfortunately the following season proved to be more of a challenge. With many of the girls now heading off to college or looking to play senior rugby, there simply wasn’t enough players to even hold a training session. 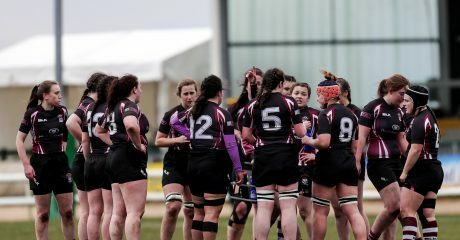 So Connemara went without a girls rugby team for a while. That was until the 2017/18 rugby season, when two mothers (Ellen Nee and Breda Coneys) on separate occasions approached Malachy Gorham stating their daughters were interested in playing rugby for Connemara. They asked would he be willing to coach a girls rugby team. Malachy is well known in the community for his hard work and involvement in coaching both gaelic football and rugby. He is also known to never back down from a challenge or turn a blind eye where help is needed, so of course he was the perfect person for the task at hand. In the following few days meetings where held between Malachy, Ellen and Breda. During these meetings they discussed what it was going to take to reach their goals. 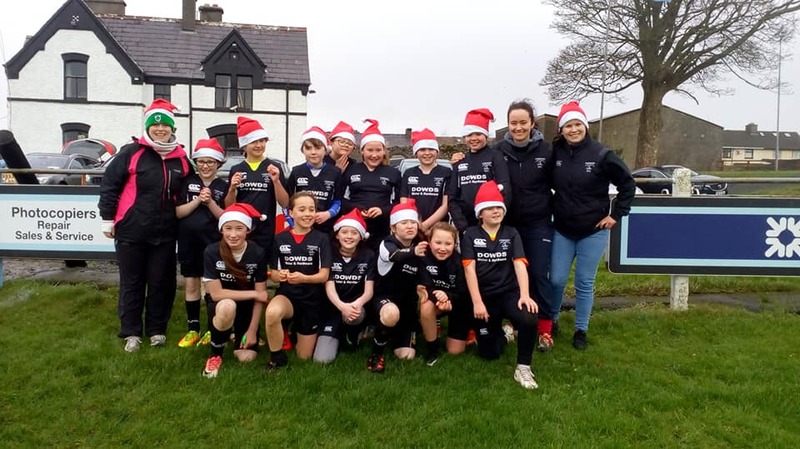 They contacted Wendy Hickey of Connacht Rugby for advice and information on what age group should they focus on and what competitions to enter. Finally, with a plan in place the first girls training session was held on the 18th of September 2017. On the first night there were 36 girls participating in training ranging in ages from 12 to 17. As the weeks went by the numbers continued to grow, eventually finishing the season with 53 players. 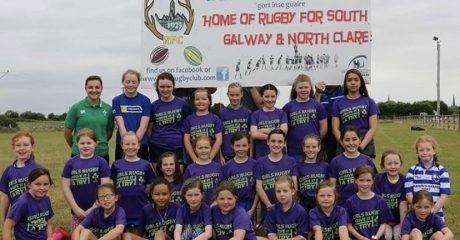 Now in our second season of rugby we have 82 girls in total registered with Connemara, 22 of which are our newest arrivals, the under 12s. With the ever growing numbers more and more support was needed to ensure training and matches ran smoothly and were beneficial to the players. This support came in the form of additional coaching staff, the participation of passed players, the commitment from the local schools, the unconditional love and support from family and friends and of course the generous donations from local businesses. Each girl that registers with Connemara are given a club travel top with her initials on it. Of course the girls all participate in the clubs fundraisers but if it wasn’t for the donations from the local businesses the travel tops wouldn’t be possible. 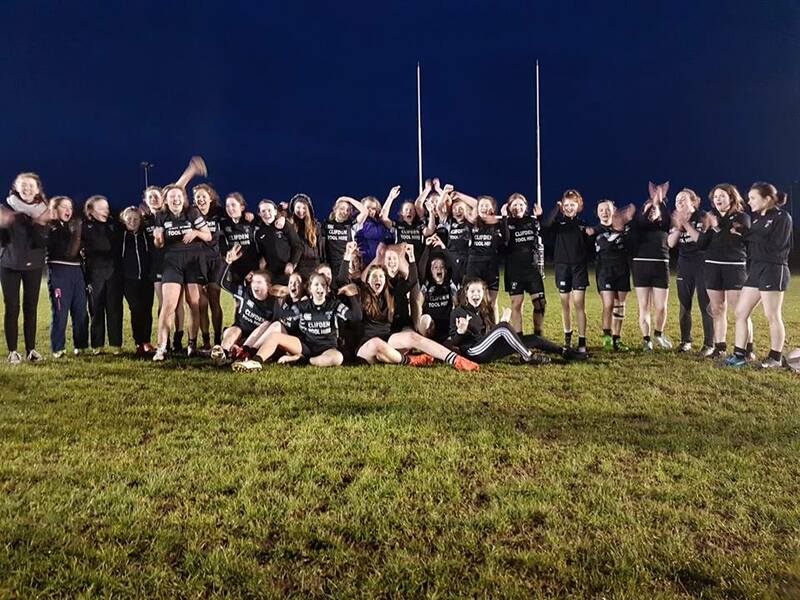 Every Monday and Thursday night at about 6:45 the Monastery pitch in Clifden is bombarded with young female Athletes all eager to start the session at 7:00. Training twice a week can be a huge commitment for these young people and their families, especially since a large portion of the girls are preparing for their junior and leaving certs. Not only that is there the commitments of school but also the fact that for the majority of the girls, rugby is not their only sport. We have player that also have a background in gaelic football, camogie, soccer, dancing, show jumping, dressage, athletics, triathlons, martial arts, gymnastics, badminton and swimming. As a coach there is something very fulfilling and inspiring in knowing that these young athletes have so many other interests and commitments outside of rugby and yet they still chose to give up two nights in there week and often their weekend to come play rugby. It makes you think the coaches are doing something right. It is thanks to these such commitments from the players, parents and coaches that the teams have seen such great results. Last season Connemara won the U15 development league, U13 plate and were the runners up in the U18 shield. The introduction of the girls U12 team this season is a massive success in its own way. Trophies and titles aside, the greatest success the girls have achieved to date is their positivity to everything going on at training and matches and how the have developed both as players and people. They show great teamwork and support for one another. Their physical abilities have shot through the roof and to top it off they’ve learned that whatever is thrown at them they can take it and keep moving forward. When asked, in what way has rugby had a positive impact on their daughters? The parents almost seemed to echo each other with words like “friendship”, “camaraderie”, “ confidence”, “respect” “power” “strength”, “resilience” and “selflessness” . “She has so much more confidence and cares about her fitness and diet. Spends less time on the computer and has made wonderful new friendships”- Amanda Keenan. “ improved fitness, great craic training in the mud followed by Janes hot chocolate”- Olivia Staunton. “ New friends, improved confidence, can’t wait for Thursday evening”- Joan Conneely. “ a great sense of camaraderie”- Brid McLaughlin. “ She can beat me in an arm wrestle now… As I see it as a parent, rugby rewards attitude and commitment. Molly was an athlete before rugby, but in athletics winning determines ability and in other sports namely soccer or gaelic football, the most skilled are revered, especially at underage. Endeavor doesn’t really register. However, in rugby, endeavour is precisely the quality you need to even begin to make an impact. Without touching the ball you can have a massive influence on the game and that’s where Molly found her niche. She loves the physical challenge and the fact that she can alter the course of a game, despite not necessarily having the best ball skills on the team. That inclusion provides motivation to continue.”- Simon Booth. 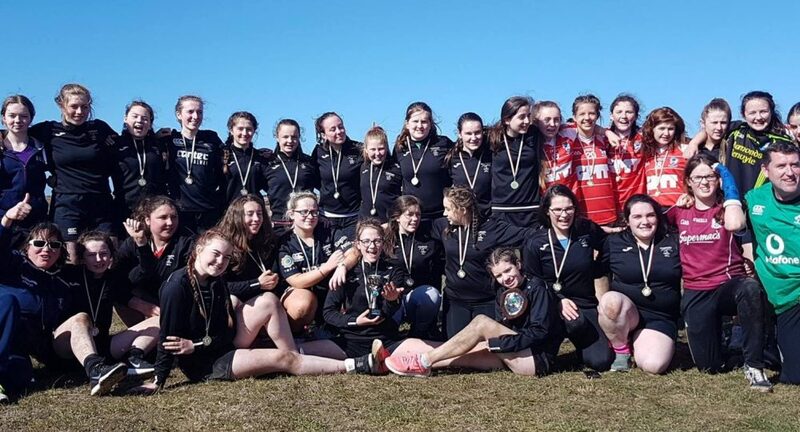 It seems safe to say that girls rugby is alive and well in Connemara.At the moments we are thinking of doing a mothers and others group. It is hoped that in the next few years we can progress to the point where we have a senior women’s rugby team. If we continue the way we are it should be no trouble at all but for now we will continue to focus our energy on these young athletes, as we know they are the future. Coach and former Connemara player.